My love of dogs and puppies, and pets in general began in my early childhood. My Mother was a champion of rescuing, feeding, and housing stray dogs until she could get them to the SPCA where they would be safe. She rescued dogs from freeways, storm drains, deserts, and mountains. Our home always included a dog; a Chihuahua, Poodle, Cockapoo, Dachshund, Scottie, or just a Heinz57 mutt. Dogs of all sizes and shapes have always given me unconditional love and a devotion that is beyond words. All my life I have probably aggravated my 'best friends' by having their portraits taken, dressing them up in adorable outfits, and showing them off on holidays with appropriate costumes. I even went as far as taking my dogs to see Santa one year so I could have their photo taken with Jolly Ole St. Nick! I've always tried to return their love and adoration by making sure they have plenty of treats, goodies, bones, and an assortment of toys. When that sad day arrives and it is time to say good-bye to my beloved pet, I have always wanted something beautiful and meaningful to remind me of their unending, ceaseless love, and to bring back wonderful memories of the times we had together. I've looked long and hard to find quality pet urns, beautiful pet urn keepsakes and jewelry, and well-made pet caskets at a reasonable price. 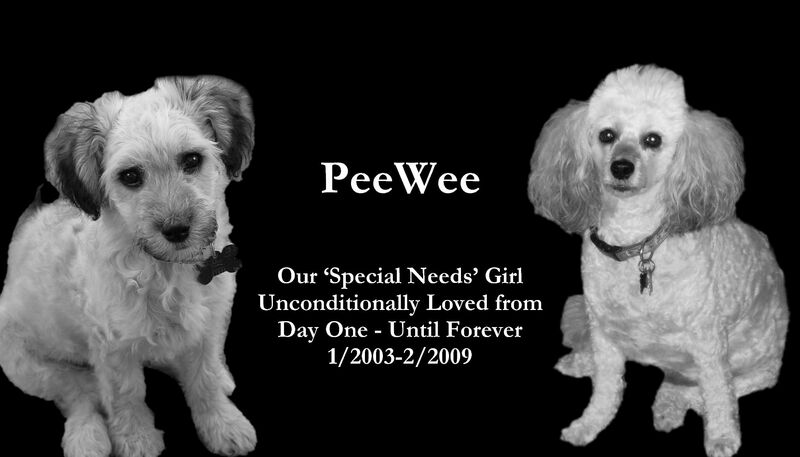 I do my best to bring you large variety of urns, keepsakes and jewelry to keep those memories alive, but if there is something special or specific that you have in mind, please contact us at CustomerService@EternalPawPrints.net and we will do our best to find that special product just for you. In 2002 when I first visited La Paz in Baja, Mexico I was enchanted by the warm, friendly people and the unsurpassed beauty of the setting on the Bay of La Paz. But one thing I couldn’t ignore was the unbelievable number of street dogs. Most female street dogs were pregnant, some dogs were starving, many were infested with ticks and mange, and others were treated poorly by locals who barely had enough to feed their own families. At that time La Paz had no animal shelter or facility that could help these innocent, pregnant and sick dogs. When my husband and I bought a home there in 2003 we did what we could for many of the street dogs. We always carried a huge bag of food in our back seat to share with any dog that looked hungry. We kept a tub of water outside our front gate. Many times we took dogs that were beyond help to the local veterinarian – most times to be put down. We donated money to our vet to use to spay stray female dogs – which were again returned to the streets where it was survival of the fittest. In 2008 I set up a 501(c)3 non-profit (Baja Dogs La Paz) to help various dog shelters in Baja California Sur. Our website is www.BajaDogsLaPaz.org. Throughout the years some of the shelters we helped have come and gone, but all have made a major impact on the health and welfare of the many street dogs and cats in Baja. We ask that you check out our website and see the various ways you can help send aid to these helpless dogs and cats. We urge you to help if you can. Any amount will help tremendously. You will find a link to donate on our website.